One stop shop for fabrication.turbo kits.engines.tuning. No job too big or too small. We pride ourselves on being a one stop shop doing all of our work in house. We are ready to tackle small jobs, as well as complete large builds, bolt on parts, engine tuning, custom fabrication, roll cages, wiring and electronics. From mild to wild- you name it, we do it! We offer competitive pricing on all jobs. Shawn Ramey is the owner / brains behind Ramey Racing. With an ASE master technician certificate from ATI and an Associate’s degree in Automotive Science - Shawn finally took the leap and opened Ramey Racing in Virginia Beach in 2009. Shawn pilots his SFWD Honda Civic throughout the race season and has set a few records and won a handful of trophies with the help of his team and sponsors. A hard working group of talented people, Ramey Racing is a one stop shop with a passion for cars that is hard to beat. Feel free to stop into the pit area at any event to meet the RR crew! Fabrication - Our in house welders are capable of high quality MIG or TIG welding. Repairs to existing products, custom exhausts and manifolds, custom chassis, roll cages, intercoolers, radiators, catch cans, custom weight bars, drag wings, sheet metal work, we love metal and we are at the top of our game when it comes to custom fabrication. We only use the best materials created for all of our projects. As always, no job is too big or small when it comes to our fabrication team. Custom Turbo Kits - Our fabrication team has the talent and creativity to build your wildest dreams. Not looking for off the shelf parts? Have a wild idea? We are the guys for you. We have built everything from custom twin turbo v8 set-ups to record setting Import and 4 Cylinder systems. Custom kits are what we love! Engine and Transmission - Ramey Race Engines is our heartbeat. We don't just build custom parts; we build some of the fastest motors around and pride ourselves on reliability. From engine block sleeving to assembly, we do it all right here in house. We can blueprint a motor for you within a certain budget or we can go all out and build you something ready to set records! At Ramey Racing we use only the best tools and materials in the industry to offer our customers the highest quality engines and most reliable engines in this business. We use the same block technology used in the engine that sends the Ramey Racing SFWD dragster down the track in all of our customer’s sleeved blocks. We also work with many other race programs to provide them a solid heart to build around and produce the power they need to reach their goals. Contact us to discuss any build from swapping in a set of cams to sleeving a block and rebuilding completely. We also offer complete transmission assembly, repairs and maintenance. We can diagnose transmission issues as well as set you up with a whole new transmission if need be. Dyno Jet Tuning - In house Dyno Jet! We don't just build the cars; we finish them off on the dyno! We provide Dyno Tuning by appointment. Shawn has completed EFI 101 and EFI 102 courses. He also has completed a Motec course from the EFI University. 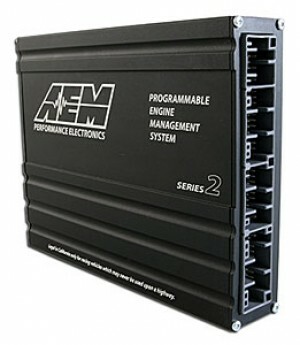 We can provide tuning software if you are yet to purchase anything for your platform. Hondata (Flashpro, K-Pro, S300), AEM (V1, V2, Infinity), Motec, Haltech, Hptuners, UpRev, Chrome, MegaSquirt. Don’t see your engine management listed? Contact us at the shop! Give us a call to go over your set-up and tuning software and we can set up an appointment. Parts – Need parts? We are a dealer for many top name brands! Contact us today for all of your performance part needs!